Yep, more things to not forget. I have to remember this one myself at times. 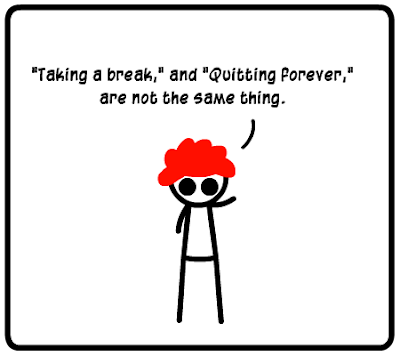 It's ok to take breaks from things, it doesn't mean you're giving up* on them or quitting entirely. *Unless you are. In which case don't*. ._.